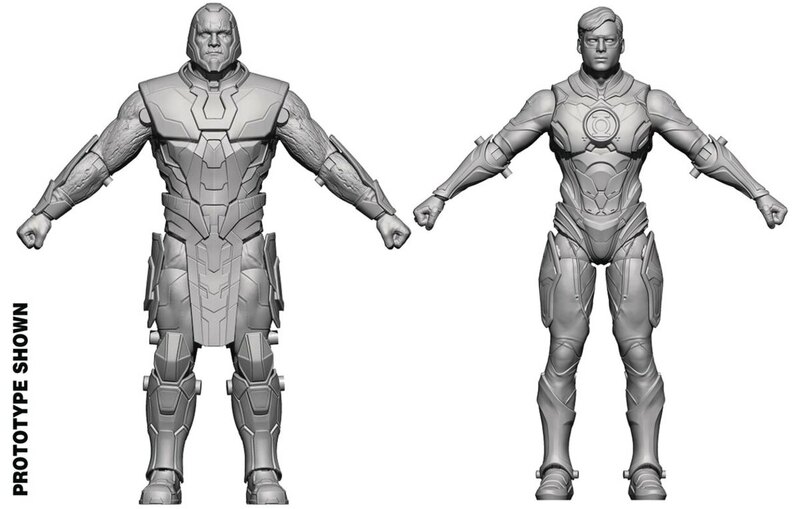 Based on his appearances in Injustice 2 comes these 1/18 scale PX exclusive figures of Green Lantern and Darkseid from Hiya Toys. Featuring full articulation and character specific accessories. See the preview images below. Both figures are now available for pre-order at BigBadToyStore.com. Im not a big fan of small scale figures like these, but from what the models show. These are going to be beautiful figures none the less.